Thank you for visiting the Green 2 Kleen fundraising page to help provide safe drinking water in Africa. 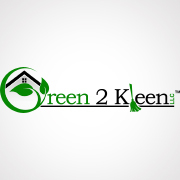 Green 2 Kleen is proud to provide $7 of every service we perform to a charity or cause that helps those in need. From now until the end of the year, all of our donations for services performed will be donated to The Water project, to help provide fresh water to those in need in Africa. We hope you'll consider joining us to fund this water project. With your gifts and your help rallying support, we can provide clean, safe and reliable water to a community in Africa.